Advertisement feature: Hip-hop superstar, entrepreneur and tech visionary will.i.am has launched a new eyewear collection, available exclusively at Specsavers. Building on his passion for striking eyewear, first inspired by the hip-hop icons of his youth – Run DMC and Flavor Flav – the 17-piece collection references classic and iconic styles with an innovative and futuristic twist. will.i.am, a multifaceted entertainer and innovator, best known as part of Black Eyed Peas, said: ‘What makes my collection and designs unique are the subtleties and attention to detail that gives them the extra ‘oomph’, while remaining entirely wearable. As part of the launch celebrations, Specsavers has teamed up with Snapchap to create a sponsored lens, so users can instantly transform themselves with the superstar’s look. Scan the Snapcode below in the Snapchat app to unleash your inner will.i.am. 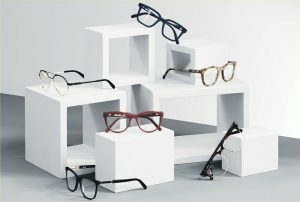 Not only is Specsavers proud to offer its customers highly-desirable, yet affordable eye wear like this uberfashionable new range, the opticians is also committed to providing expert and comprehensive eye care. Specsavers features the latest clinical technology and highly qualified and professional teams. Customers that have undergone an eye test elsewhere are also welcome to bring in a valid prescription and choose from the extensive range of 2,000 specs. 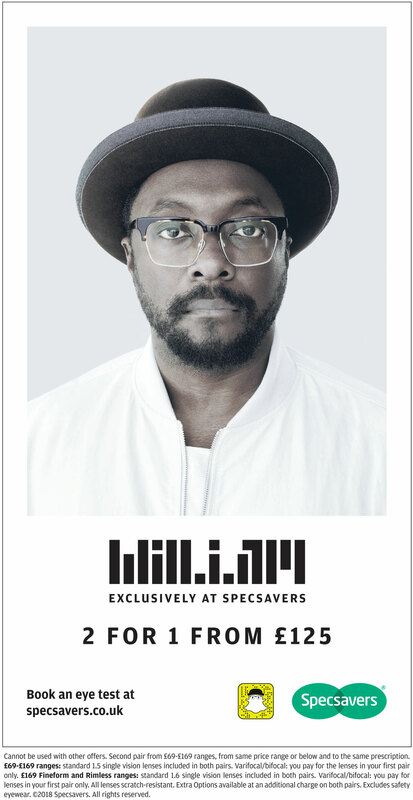 will.i.am’s collection for Specsavers is priced at £125 per pair and is included in Specsavers’ two for one offer. All glasses come fitted with single vision lenses as standard.